Wisdom Capital is one of the highly recognized Discount Broker in India. 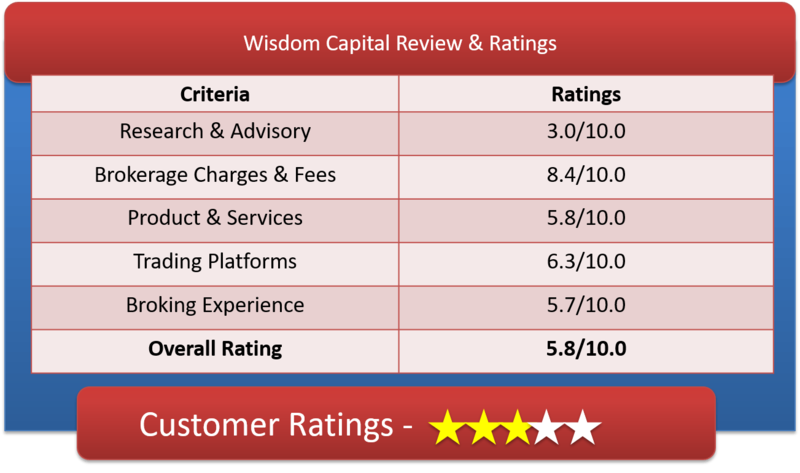 Lets look at Wisdom Capital Review, their other features like Demat Account & Brokerage Charges & Fees. Wisdom Capital a discount brokerage firm, with its 250 franchisee network, supports broker assisted trade as well as automated online trading in all the segments across BSE and NSE. The broking house offers heavily discounted trades with Free Demat & Trading account without any hidden charges. The discount broker has its client covered whether it is over toll free, phone, email or live chat. They provide three softwares (NOW,NEST & ODIN) for convenient and hassle free trading. Wisdom Capital also offers semi and fully automated algo trading facility. 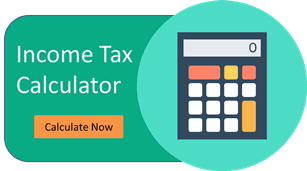 With them you can take high leverage upto 20 times in NSE & MCX Derivatives and 40x in cash. The Broker also offers precious metal futures trading and trade in almost all metals, agri and non-agri commodities too. They also offers depository services to enjoy smooth trading experience. They provide advance order type ( MIS, CO, SL, SL(M), BRACKET Order) which apart from allowing margin also aids in capital protection while trading .Client has to maintain only a Single Ledger for all segments i.e. Equities, Currencies & Commodities. They also offer courses through Trading School to train beginners to invest in financial market. Wisdom Capital is one of the top discount broker in his plan offering. The flexible plans offered here covers each and every level of investor. Freedom plan is good for active investors where pro plan is good for professional investors. Wisdom Capital Pro Plan – Rs 9 flat-rate share trades is equal to SASOnline (Rs 9) & RK Global (Rs 9) and lower than its close competitors ProStocks (Rs 15), Zerodha (Rs 20),RKSV (Rs 20),Tradejini (Rs 20),My Value Trade(10 Rs),Trade Smart Online(20 Rs),Compositedge (18 Rs) plans. One time fees of Rs 1150, In this plan you can trade free for Futures & Options and equity segment in NSE,BSE.Commodity trading at MCX and NCDEX all segment is also free. This is zero brokerage plan. Wisdom Capital charges zero rupee for this plan. 100 day challenge to get brokerage refunded if you come out profitable at the end of 100 trading days. Lowest Transaction Charges, no minimum brokerage, no trading and demat account opening fee. Low Brokerage plans, single ledger for all segments, option to choose trading terminal of your like. The broking company offers a huge variety of trading platforms to its clients. It has trading platform for all formats i.e. Desktop Terminal, Web Platform & Mobile Platform. Most advanced trading platform with variety of features like advanced charting, high connectivity, user friendly access everything is available in this Trading Terminal. This comes with a lot many features aswell like real time support, hassel free trade, advanced charts, works with different web browsers, auto update facility is available. Trade eye is a mobile app platform provided to their clients. It comes all the features available in trading terminal & Web HTML 5. This is a extremely advanced & gives grand performance. Wisdom Capital is trader’s paradise indeed. They have something to offers for all type of traders/Investors. With its highly competitive brokerage charges, support for every type of trader, up to date tools and technology, It has quite the offering for investors who fit into its target mold. Charges for using semi-automated algo trading.